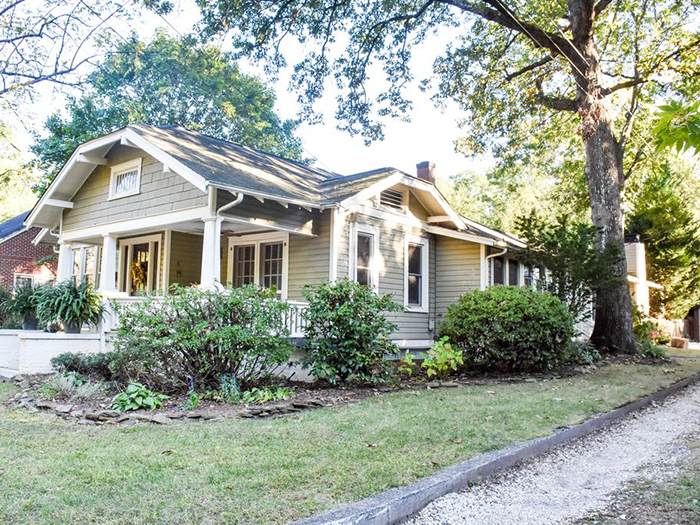 With Hickory throwing its hat in the ring for Amazon HQ2, I thought I’d begin nosing around the housing stock in this city about an hour north of Charlotte. Just in case, you know? The house I’d be willing to fight all of you for quickly became apparent. 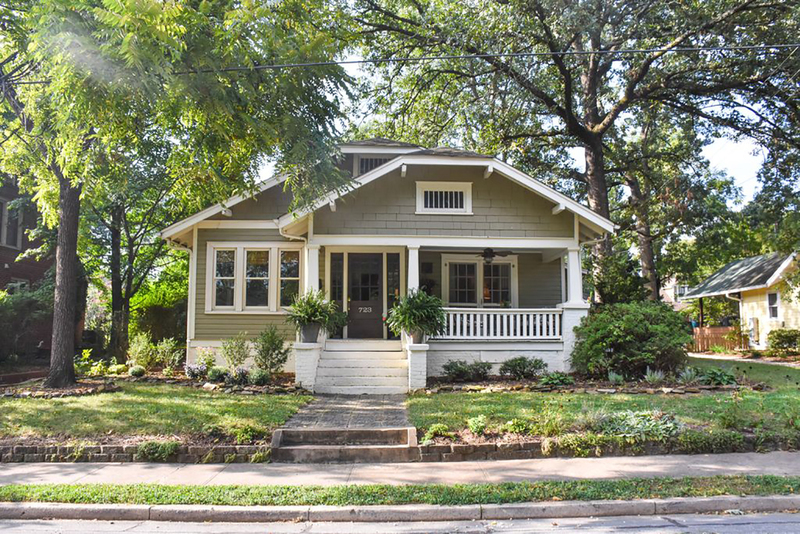 This 3-bedroom, 2-bathroom, 2,091-square-foot Craftsman, built in 1924, immediately caught my eye for its great period details. Find it at 723 4th Avenue NW. 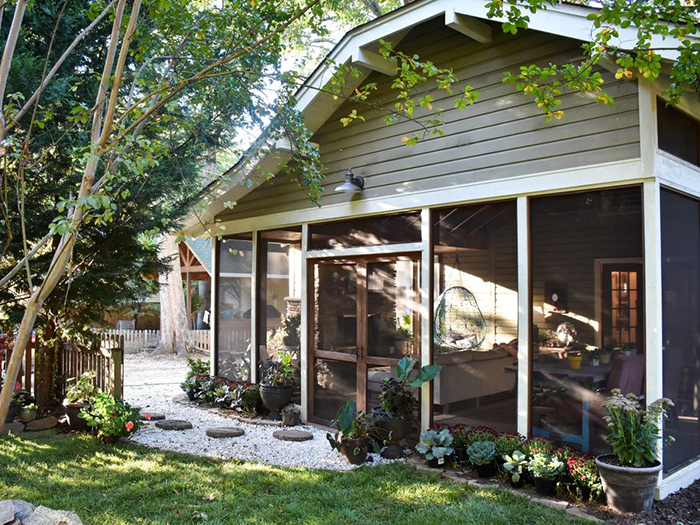 An addition in 2010, the porch has a bug-free 400 sq. 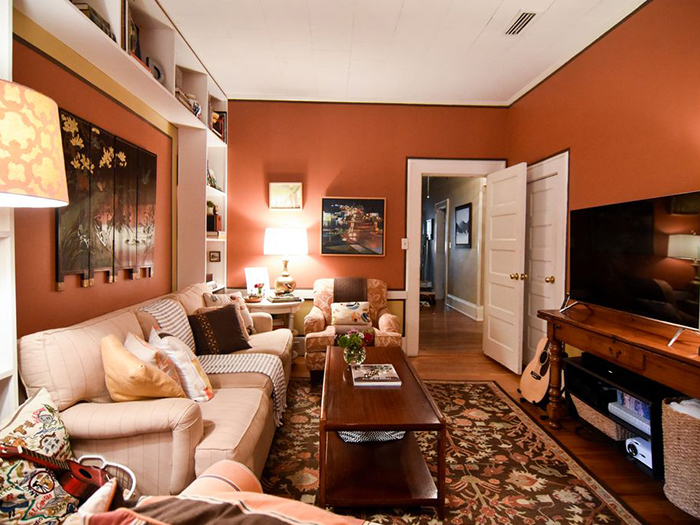 ft, ceramic floors and a wood-burning stone fireplace. I’m someone who loves other people’s wallpaper but is too lazy/chicken to do it myself. 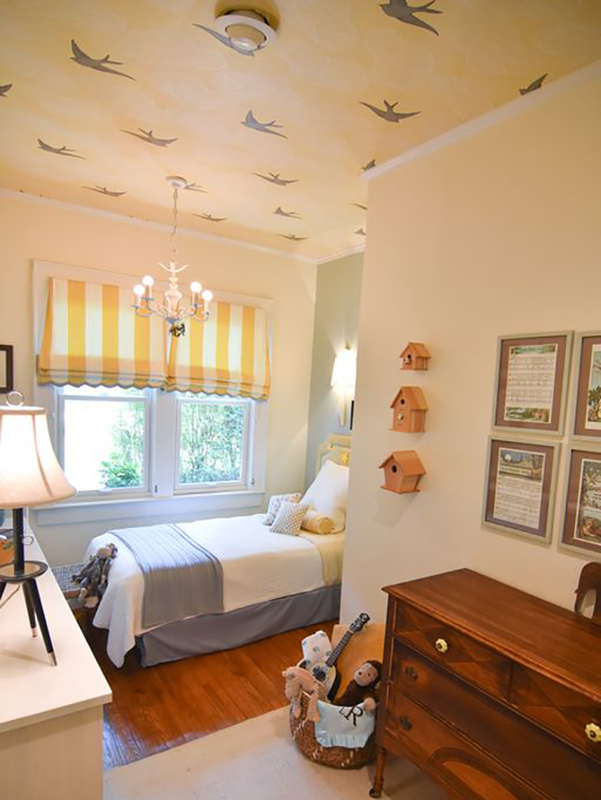 The dreamy use of bird wallpaper on the bedroom ceiling was enough for me to reach out to the owners and ask who was behind all the creativity. 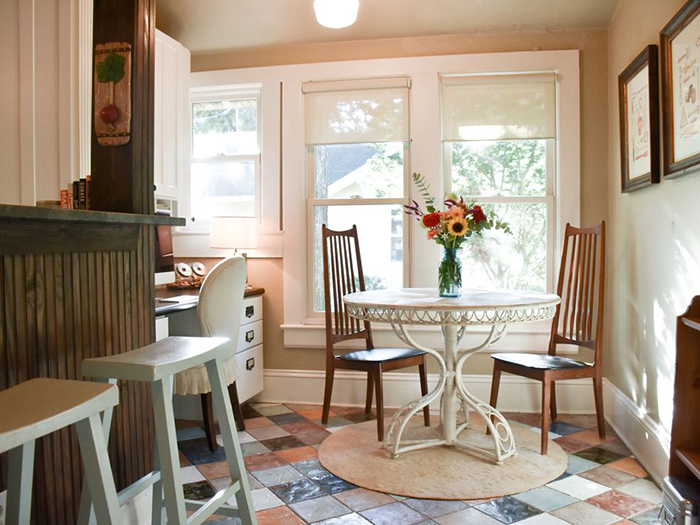 The home is owned by Andy and Laurie Rhoney (they’re also selling it by owner), who work as designers and craftsmen. 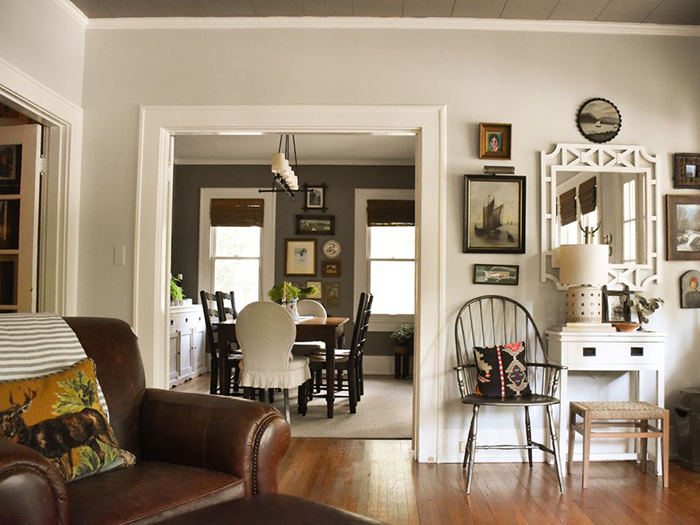 Laurie was the one who first put the wallpaper on the ceiling back in 2009 and snapped a few photos – and soon the home’s wallpapered ceiling was featured on Apartment Therapy and The San Francisco Chronicle. Nice. Andy tells me the couple has lived in the house for 11 years and loves it, but is excited about their next move – which he describes as a major project. We’ll be watching for it! 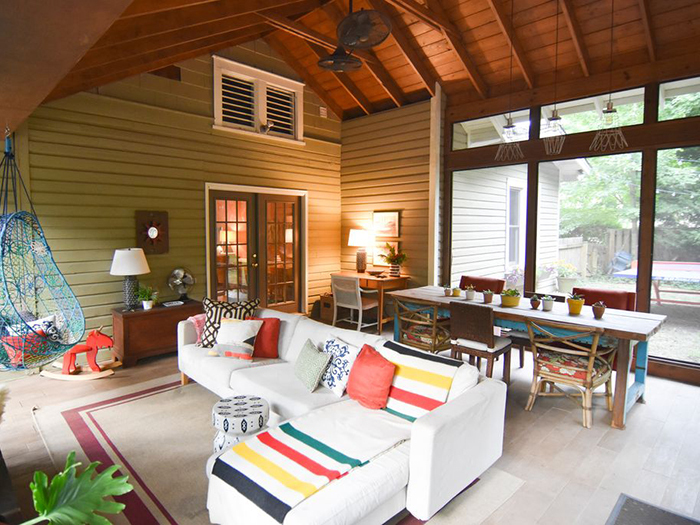 All photos via Zillow and Rhoney Design, an interior design firm located in Hickory, NC. Real estate tips? 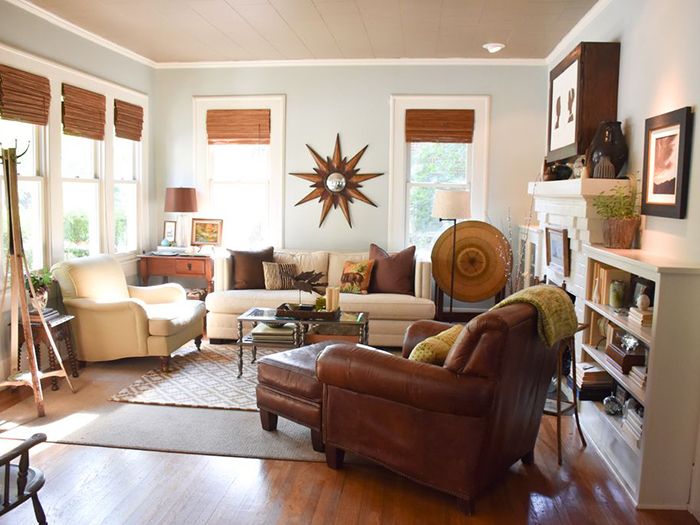 If you know of any unusual, interesting or perfect properties for sale or rent, let me know, emily@charlotteagenda.com. Thanks!